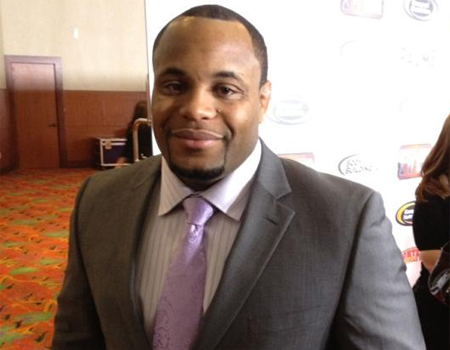 UFC light heavyweight champion Jon Jones and Daniel Cormier (pictured) just can’t seem to get enough of each other. Actually, the two have had it with the other. Following Thursday’s UFC 182 Media Day, after the bitter rivals had to be separated by UFC president Dana White after their heated face-off, Jones and Cormier crossed paths backstage. As one would expect, things got testy. This time, however, it also involved their respective teams. Some of the ruckus was captured on video by former UFC fighter Tyson Griffin, who is part of Team Cormier. UFC 182 goes down Saturday inside MGM Grand Garden Arena in Las Vegas, Nevada.